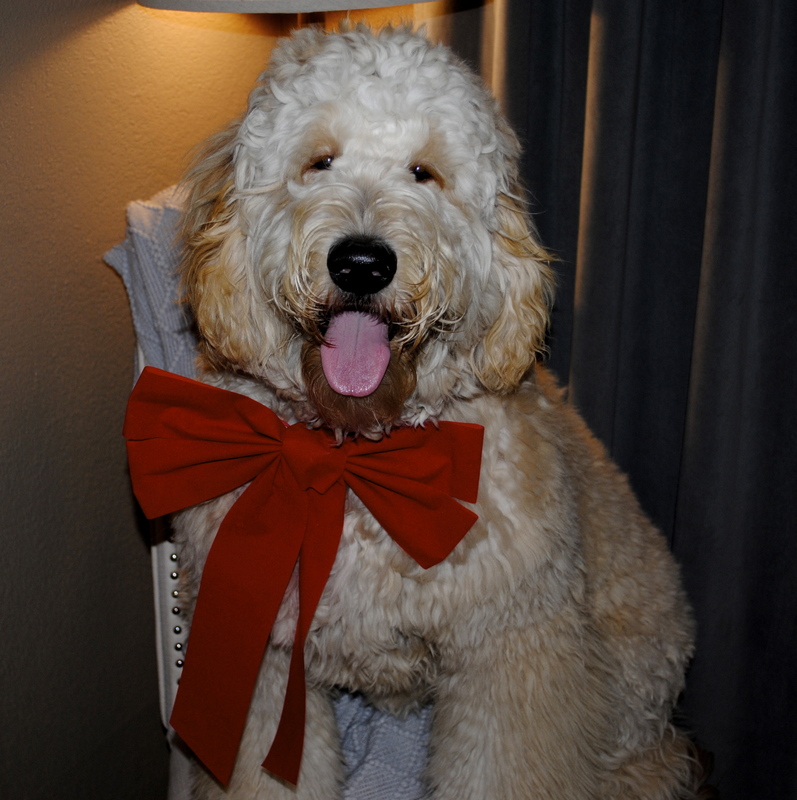 Do you want to spoil your pooch this holiday season? 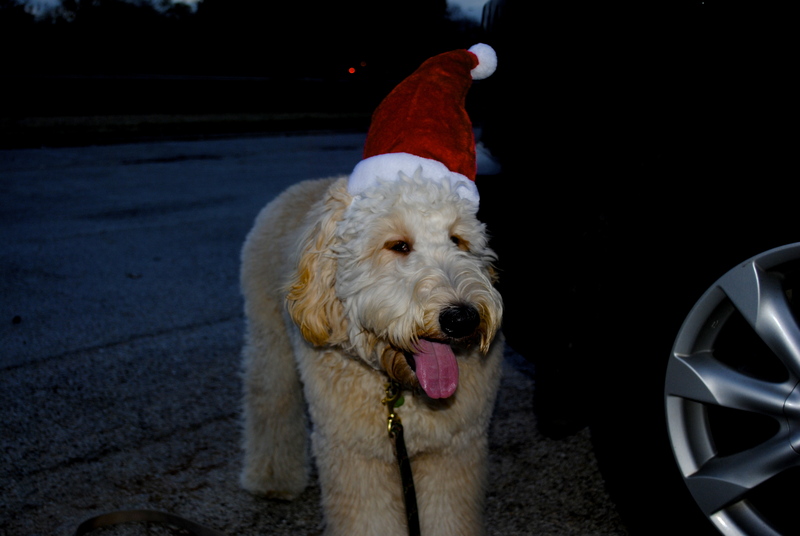 Here are a few holiday pup recipes that we love and think you will too! Let us know what you think! Combine 1 cup flour, 1 cup baking mix (Bisquick or Jiffy), 5 drops mint flavoring, ¼ cup milk, 2 tablespoons margarine, 1 egg and 1 teaspoon corn syrup. Mix all ingredients and roll out onto a floured surface to approximately ¼ inch thick. Cut with bone shape or holiday cookie cutters and position on a cookie sheet sprayed with cooking spray. Bake at 350 for 25 to 30 minutes until lightly browned. Cool the dip cookies halfway into melted carob or spoon the carob icing over half of each cookie. Make sure cookies are cooled down before storing, gift wrapping or giving to your pup. Store these treats in a sealed, airtight container for freshness. **DO NOT substitute chocolate chips, chocolate is toxic to dogs instead go with carob a safe alternative for your barking chocoholic. Carob should be found in your stores baking department. Mix 2 cups all-purpose flour and 1 cup of whole wheat flour in a medium sized bowl. In a large bowl, mix 1 teaspoon molasses, 2 tablespoons natural peanut butter and 2 tablespoons vegetable or canola oil. Add the flour mixture to the wet ingredients and mix until smooth. Scoop into small balls and place on a baking sheet sprayed with cooking spray. Flatten each ball with the back side of the fork in both directions, creating a crisscross score design. You can also get out your cookie cutters and have some yuletide fun! Bake at 350 for approximately 30 minutes. Cool before giving the treat to your dog. Store these treats in a sealed container for up to a week. Package your homemade dog treats as nicely as you would a gift for a friend. You can recycle old empty Christmas tins or use gift basket, dog bowl, biscuit jar, small stocking or cellophane bag tied with reused & recycled ribbon. For a gift that keeps on giving in dog bones, you can write the treat recipe on recycled card stock and attach it to the gift. If you are not a baker but have a dog loving friend that loves to cook we have an idea for you. Attach one of these delicious recipes on a recipe card to a dog bone shaped cookie cutter. This makes a paw-tastic gift for any dog owner & dog lover. But for the dog owner that has everything you can always gift them a doggy cookbook. So gourmutts get baking and spreading Yuletide cheer! Happy Pawlidays friends! We hope your holiday season is going great, just like ours. 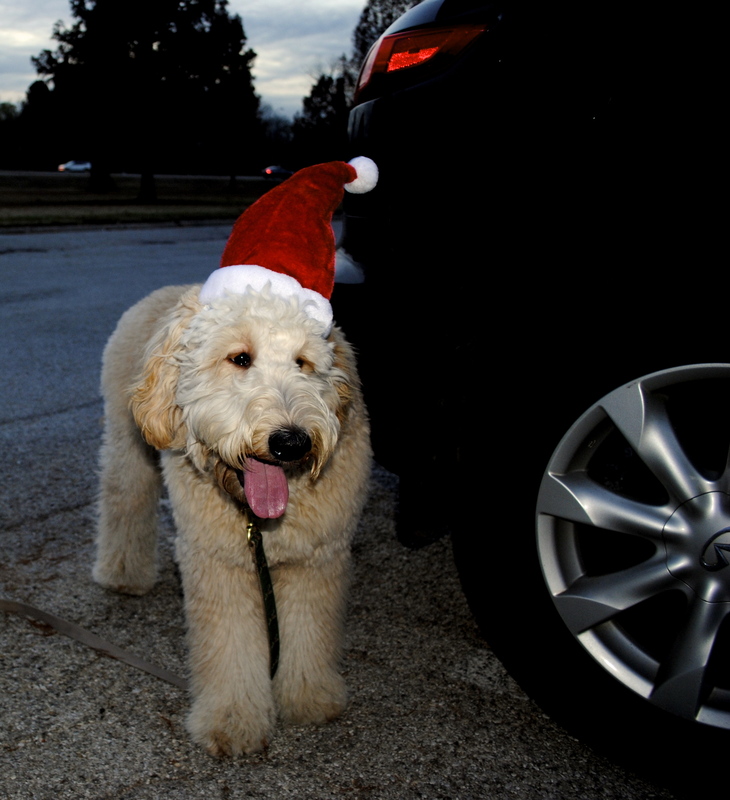 Don’t leave your furry friend out this season. Celebrate them as well! These awesome treats are sure to make them feel involved in the holiday celebrations! I’m probably one of the top ranked when it comes to being obsessed with Christmas. Right up there with Clark Griswold from National Lampoon’s Christmas Vacation. I hope you all know what I’m referencing. If not, you must watch that movie this Christmas season. Anyway, I love Christmas and all that it entails. Jesus Birthday, the lights, the colors and the scents, and especially the decorations. If it were up to me I would leave my Christmas decorations up year round. But for some reason that’s socially unacceptable, so for now I’ll just have to embrace the month of Christmas I do get! Another part of Christmas that I thoroughly enjoy is the shopping. Searching and searching for those perfect gifts, and then when you find them you feel so accomplished! I could go on and on about everything I love regarding Christmas. However, this Christmas is a little different for me. I have my own dog! 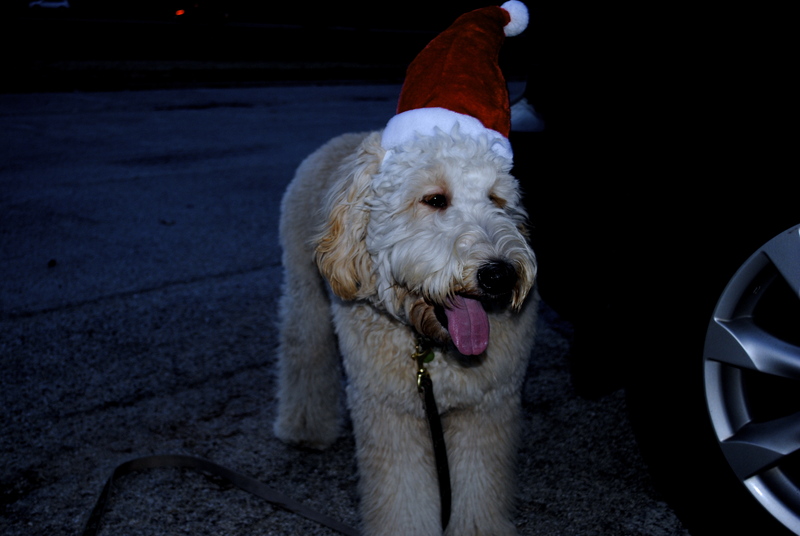 I grew up with dogs and we always include them in the Christmas celebrations. They have a stocking full of goodies and partake in family Christmas photos. So believe me when I say, I am SO excited for my first Christmas with Fletcher. Now that being said, I will probably go a little overboard when it comes to gifts and goodies, but I’m going to try my best to not let that happen. 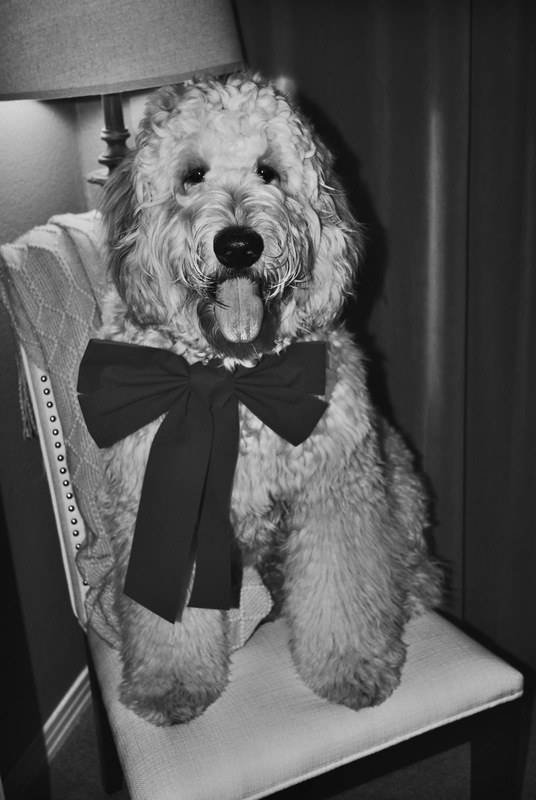 So today I want to share a few of my must have items for my pet this holiday season! These items range from over $100 dollars to as low as $10 dollars. There is something for everyone! #1. The iCPooch. This is on the top of my list this year. This gift may not be for you, but I spend a lot of time away from Fletcher. So being able to interact with him and give him treats while i’m away would be amazing for me. This is all controlled through your phone and home wifi. I think this is a great item! #2. Rope Bulb Dog toy. I’m loving this item as well! And this one is priced super low. If you’re looking for some great priced stocking stuffers for your pet, look no further than Target! And how cute is this toy? I will definitely be making a trip to Target in the next few days! #3. Harry Barker Dog Beds. I couldn’t just choose one to link, so I linked the whole page! These beds are so stylish and come in such variety. I’m in the market for a new bed since my little devil decided to tear his up. Which one is your favorite? We can’t decide! #4. Harry Barker Festive Toy Bin. This is just one of many! You can personalize your buckets or choose one that is pre made. I love that these have a variety of items in them. They range in price as well, so it all depends on what you’re looking for. This would be a great gift for your pet, or even for a friend who loves their pet! #5. Striped Ball Set. You can never have too many tennis balls, and these are completely adorable and stylish! Also they are priced great as well. We love everything that Harry Barker has to offer. Everything they make is stylish, durable, and affordable. Check out their website today! #6. Stashing Through The Snow set. Whether you’re looking for holiday leashes and collars, or just an all year set; we have them all at The Dood Shop. Plus right now you can get up to 40% off your purchases! This deal will only be valid till December 5th, so take advantage and do some holiday shopping! I hope this list got you in the spirit to start your Christmas shopping! I could go on and on with adorable items, but that should get you started. All websites I listed are full of adorable gifts. So head on over to the websites and browse around! I’m sure you’ll find something that suits your style. Happy Holidays friends!